The ContiSportContact™ 5 P - safe performance for sporty cars, giving maximum fun at the wheel. The latest innovation from the Continental experts. A high performance tire that offers maximum safety and driving pleasure for highly tuned cars. The ContiSportContact™ 5 P is individually adjusted to meet the specific requirements of the front and rear axle positions. With precise steering and maximum grip under all conditions the vehicle’s perform to their full potential on the road. The ContiSportContact™ 5 P doesn’t only go fast – it stops fast too. It is therefore recommended by leading experts. Designed for sports and high-performance vehicles. The super-sports tyre with superior handling for maximum fun. Engineered in Germany, Continental offers premium tyres with optimum braking performance and safety. Perfect steering precision and sporty handling just as short braking distance thanks to black chilli technology. Test winner by Auto Bild sportscars in their summer tyre test 2014 (sizes tested: 255/40 R 19 and 285/35 R 19)". Perfect steering precision and sporty handling.The solid, sturdy central ribs, attached tread lugs, plus asymmetrical tread ribs ensure optimum, longitudinal stiffness in the tyre and reduced movement in the tread. This means steering forces are transmitted straight to the road. Outstanding grip and stability during cornering. A supple macro-block design on the outer shoulder and solid central ribs, ensure that the tyre adapts perfectly to the road surface. Particularly during fast cornering the contact patch is increased. The driver receives excellent feedback when approaching the limit and the tyre provides outstanding grip with maximum stability. 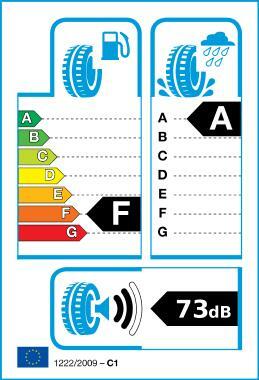 Rolling resistance-optimised ‘cap and base’ tread. The two tread components – ‘cap’ and ‘base’ – complement the balanced compound concept and ensure good grip in the wet, whilst at the same time providing short braking distances and reduced rolling resistance. The ‘cap’, on the outside, provides good grip in the wet and short braking distances, whilst the ‘base’, on the inside, reduces rolling resistance. Together they achieve more positive road grip and retain kinetic energy, whilst simultaneously ensuring high safety. Short braking distances on both wet and dry roads. Black Chili Technology is a specially developed compound technology involving an innovative type of racing grade carbon black, which ensures a speedy warm-up process and greater stability. The polymers in the compound are reinforced with nano particles, making them extremely supple. Thus they provide more contact points with the road, so grip is substantially enhanced and the tyre far more stable. In addition, special grip resins provide optimum interlocking with both wet and dry roads, thus achieving shorter braking distances.